The Department of Employment has proposed changes to the skilled occupation list from January 2018, the new system in place will remove few of the flagged occupations and few others will be added to the current list. The proposed changes will be in place for Employer-Sponsored Subclass 457 and Employer Nomination Scheme (ENS) applications. These changes will not affect General Skilled Migration Subclasses. 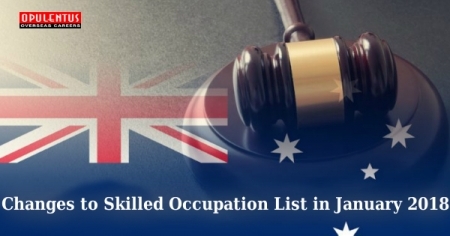 The bottom line is, if you are falling under any occupation which has possible inclusion to STSOL, should initiate their process to be in the race to grab the opportunity to settle in Australia.